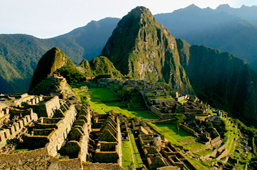 This trip to Peru will immerse you into culture, history and Adventure among some of the most breathtaking landscape in the Peruvian Andes, while living a positive footprint. Surfing, River Rafting, Trekking to the Highlands with a view few people have of Machu Picchu, Mountain bike in Cusco. 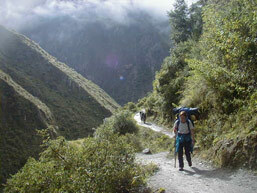 Experience this unique adventure and have a life time journey in the heart of Peru. Meet on arrival at the airport and transfer to the hotel. Breakfast. 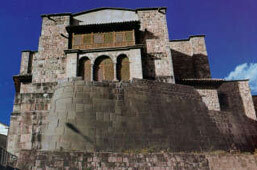 Transfer to the airport for flight Cusco. Meet on arrival at the airport and transfer to the hotel. Free morning to rest and acclimatize to high altitude. Breakfast. We will be transferred to our private river put-in located in Pachar, from where we will start our River rafting adventure in the Sacred river of the Incas. Here you will receive your rafting equipment and a safety briefing. (Toilet and changing facilities are available). After a brief practice on the flat parts of the river, we will start our journey on easy waters, while we admire the spectacular views of the mountains and archaeological remains, continuing towards Ollantaytambo and its amazing Inca terraces, at the time we experience class II and III rapids, to finish with “El Resbaladero” (The Slide), a strong class III rapid that includes waves and small whirlpools. We will then have lunch in a traditional restaurant located on the riverside and owned by the local community. This is a great chance to enjoy the Andean cuisine while supporting community projects After lunch you will be directed to the local reforestation project located just 1,000 ft away from restaurant. Here each participant will have the chance to plant a Native Tree and contribute with a UNITED NATIONS project named “1plant for the planet” which seeks to plant 1 native Tree per human being. After this, we will hike for about 40 minutes to our campsite, located at 9,840 ft above sea level. Hot showers and toilets are available. A nice BBQ dinner will pamper participants. (Private service). Breakfast. 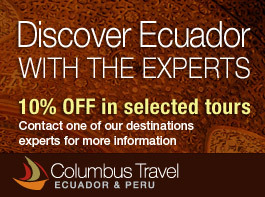 Free Morning to explore the town of Aguas Calientes. At Mid Day, board the Local train that will take to Santa Teresa, a town hidden in the Amazon cloud forest just 15 km from Machu Picchu. Upon arrival transfer to Santa Teresa Campsite. Afternoon 40 minutes hike to the start of the Zip Line. Here you will receive a safety briefing as well as the gear: helmet, gloves and harness, which is then hanged by a pole to an iron cable. At the end of the Zip line you will be received by a guide. This adrenaline pumping ride consists of 6 sections of zipline totalling nearly 2.5 kilometres of high wire. Criss-crossing the valley, you begin the ride about 820 ft above the valley floor and finish at the bottom. A Boxed Lunch will be provided. 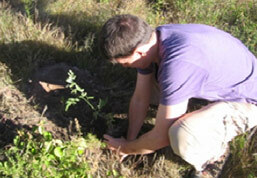 After a short rest, hike to a local farm where you will learn about the local crops they grow in this area. Return to campsite for a nice BBQ dinner. (Private service) Overnight at campsite. After breakfast at out family houses and after saying goodbye to our host family, we will board the tourist bus return to our hotel in Cusco (Lodging not included for this day, on your own) or airport. Machu Picchu Sumaq Machu Picchu . Machu Picchu Hatuchay Tower (standard room).